While size matters at certain times, when it comes to a minivan it doesn’t have to be massive in order to be practical and functional for larger families. 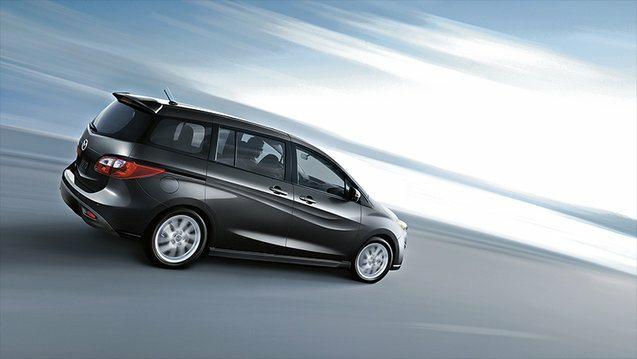 Case in point: the Mazda5. You might consider it a large wagon, or a really mini minivan. Ultimately, this is perhaps one of the most versatile and practical vehicles in Mazda’s lineup right now. 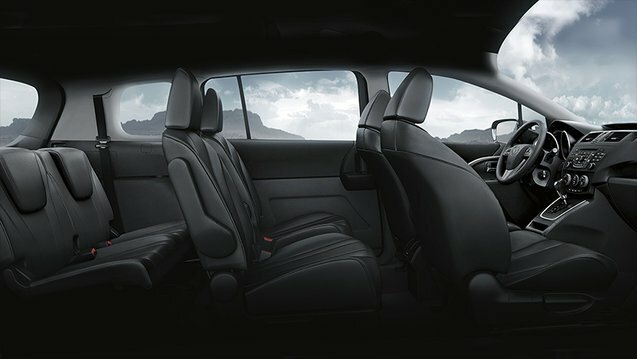 It offered up gobs of interior space, seating for up to six, and that Mazda drivability and reliability we’ve all come to know and love. It might not be the most updated or new vehicle in the Mazda family lineup, but the 2016 Mazda5 still has dashing good looks, and some great character lines. It is every bit as stylish and modern in typical Mazda fashion as the rest of the company’s lineup. 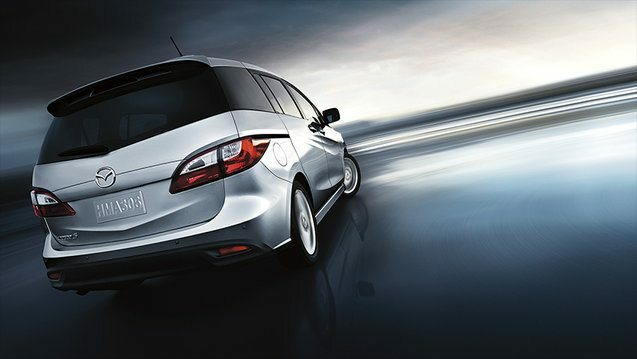 With sculpted siding and that Mazda front fascia that’s instantly recognizable, the Mazda5 has presence on the road, and is sure to turn heads either on the road or parked in your driveway. The 2016 Mazda5 remains familiar inside, as well. It’s not yet received Mazda’s brand new HMI system, however, it does feature an onboard system that’s easy to use and offers plenty of modern-day features like Bluetooth, USB ports, satellite radio, and steering-wheel mounted buttons for easier manipulation while driving. 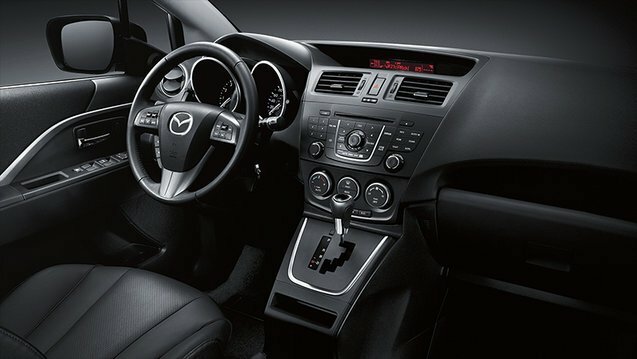 The unique positioning of the shift lever helps the 2016 Mazda5 sense of interior space grow, and makes the front passenger area seem rather cavernous. With room for six passengers total, the 2016 Mazda5 offers up 112 liters of cargo space behind the third row. Fold that third row down and that space increases to 426 litres. Fold both rows down and you’ll have 857 litres to fill with all your gear. To get all your gear and passengers moving, the 2016 Mazda5 is equipped with a 2.5L 4-cylinder mill that produces 157 horsepower and 163 lb-ft of torque. There are two transmission choices available: a 6-speed manual and a 5-speed automatic. Power is sent to the front wheels at all times. Overall, the real selling point (and best thing, really) about the 2016 Mazda5 is its side panel sliding doors. These openings are absolutely ideal for loading and unloading passengers and stuff, children will have no trouble getting in and out and seating children in child seats is a breeze. The Mazda5 is uber versatile and functional as a family vehicle, and offers up so much interior space without being a behemoth in size. It is ideal for city life. There’s no denying that the 2016 Mazda5 really is the ideal blend of big-car functionality in a small-car package. This versatile vehicle would be at home in any small-family driveway. 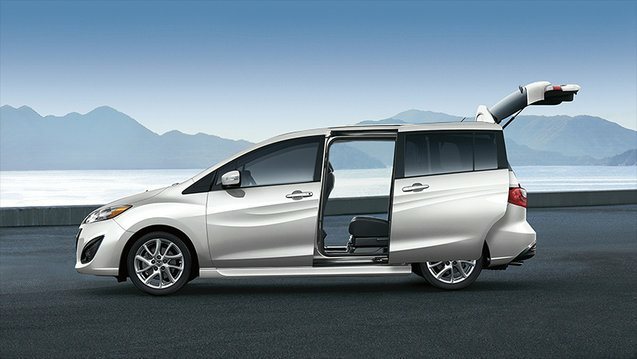 Loaded with amenities, along with a comfortable, roomy interior with plenty of space for all and their gear, the Mazda5 is a great vehicle for young families or those who tend to carry a lot of stuff with them. If you want to find out more about the 2016 Mazda5, head down to King Mazda today to speak with one of their experts. Make sure you book a test drive, too.